Google will unveil its Auto Link OS for cars at the Google I/O next week. Google will be announcing its Google Auto Link (GAL) at its upcoming Google I/O developer conference, in San Francisco in June. Google's Auto Link system is the first product developed in partnership with the Open Automotive Alliance, a group of companies including Audi, Honda, General Motors, Hyundai, chipmaker NVIDIA Corp and Google. Google's Auto Link software is not an "embedded" system but a "projected" one, meaning that smartphones using Google’s Android operating system could be controlled using a car’s own controls and display screen. Google itself is quite familiar to many drivers from existing interfaces. Hyundai drivers can use a built-in Google search engine and voice commands to find nearby destinations and Audi uses Google Earth satellite images for its GPS maps. 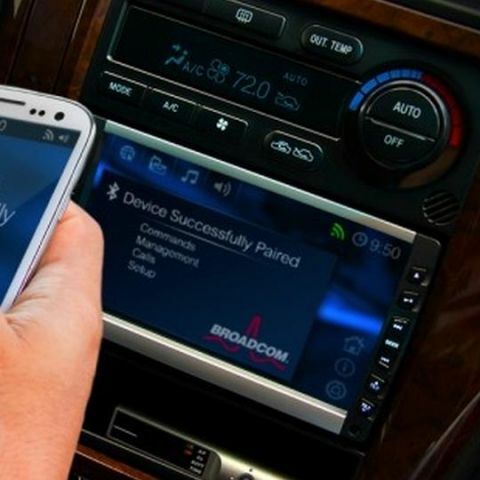 Apart from Auto Link Google is also planning to develop new Android platform features which, the company says will, "enable the car itself to become a connected Android device". The Auto Play OS competes with Apple's CarPlay in-car operating system unveiled at this year's Geneva Motor Show. Apple's Car Play interface resembles the iPhone and has several in-car functions. Apple described it as “a smarter, safer way to use your iPhone in the car". Volvo's new infotainment system will feature CarPlay in its next generation XC90 SUV. Other automakers that will use CarPlay include Honda, Hyundai, Ferrari, Mercedes-Benz and Jaguar.